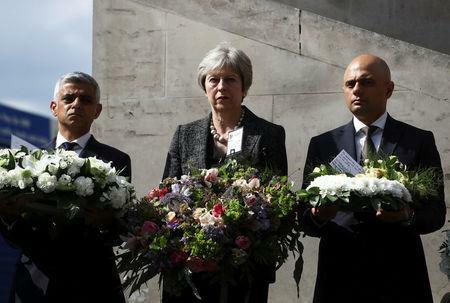 LONDON (Reuters) - The threat posed by Islamist militants to Britain is expected to remain high for the next two years and could even rise, the interior ministry said on Sunday, on the first anniversary of an attack that killed eight people in central London. 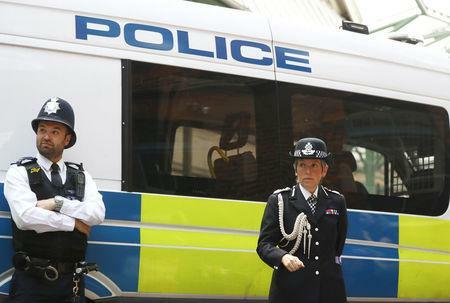 The current threat level to Britain is assessed as severe, meaning an attack is highly likely. The government said it had foiled 25 Islamist militant plots since June 2013 - 12 of those since March 2017 - and was currently handling over 500 live operations. Britain will publish a revised counter-terrorism strategy on Monday designed to cope with what it said was a shift in the threats the country faces as militants of all ideologies adopt new tactics. "In summary we expect the threat from Islamist terrorism to remain at its current, heightened level for at least the next two years, and that it may increase further," the ministry said in a statement. The threat level was raised to "critical", its highest, twice in 2017. A review found existing counter-terrorism policy was well-organized and comprehensive, but suggested ways it could be improved. "The threat from terrorism is constantly evolving. Globally, terrorist groups and networks of all ideologies continue to develop organically, exploiting social media, technology and science to further their aims and ambitions," the ministry said. The statement said the threat from "extreme right-wing terrorism" was also growing and four plots had been disrupted since March last year. 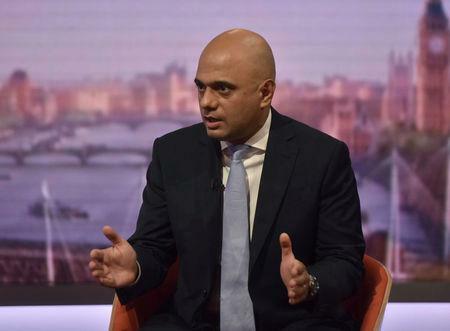 Interior minister Sajid Javid will speak at a memorial service for those killed in the London Bridge attack when three men drove a van into pedestrians and then stabbed passers-by in the popular nightlife area. "The government is absolutely committed to doing everything possible to tackle the terrorist threat. It is my first priority every day in this job," he will say, according to the department. The revised strategy will try to develop police and security services data analysis capability, coordinate more closely between intelligence agencies and police on specific suspects, and look in more detail at the activity of right wing groups. It is due to be announced in full on Monday.